BRYAN EATON/Staff photo. 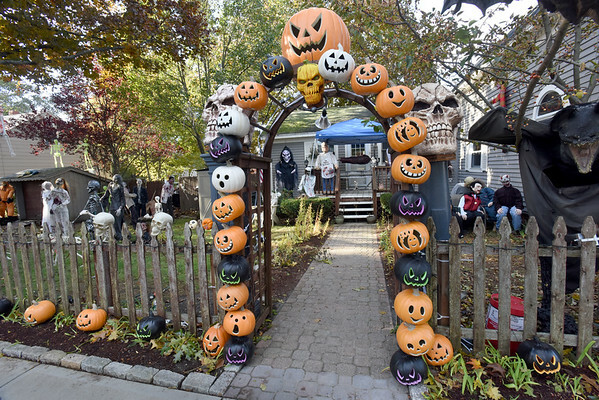 The jack-o-lanterns are the least ghoulish on this Halloween display on 13 Tilton Street in Newburyport. Bruce Page and his family have been setting up all kinds of scary items on their all-out display they've been doing for many years.